Numerous conditions which can be diagnosed using the 12-lead ECG requires that ECG changes occur in two or more anatomically contiguous leads, which implies leads that are anatomically juxtaposed. The reason for this is simple. For example, if there is acute ischemia located in the anterior wall and there is ST segment elevation in lead V3, then there should also be ST elevation in either V2 or V4, because it is unlikely that ischemia would only be detected in one lead. Thus, leads V3 and V4 are anatomically contiguous, as are leads V2 and V3. 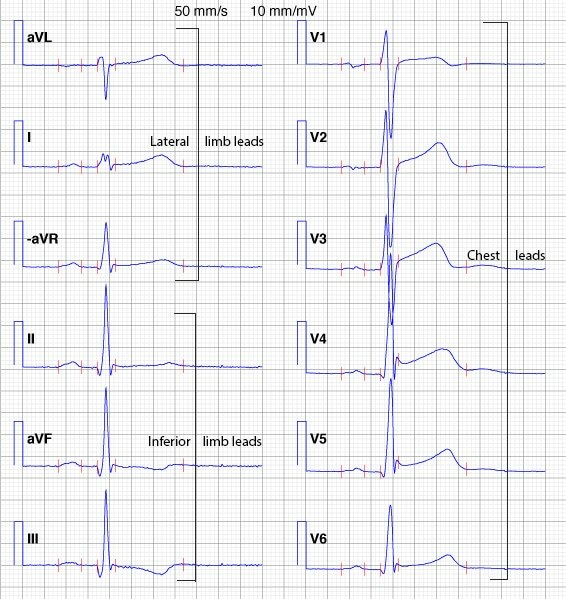 You have probably noticed that the chest leads (V1 through V6) are displayed on the ECG paper in their anatomically contiguous order from right anterior (V1) to left lateral (V6), but regrettably the limb leads are not. Instead, the limb leads are displayed in two groups of three: leads I, II and III and leads aVR, aVL and aVF. Figure 1 shows the traditional presentation of the 12-lead ECG. This presentation format is the standard in the United States, United Kingdom, most parts of Europe, South America, Asia and Africa. Understanding this discussion requires prior knowledge of the ECG leads. Please refer to our main article on the ECG leads, before reading this article. Figure 1. Traditional presentation of the leads in the 12-lead ECG. As evident in Figure 1, the traditional presentation of the ECG leads is not particularly helpful. Presentation of leads I, II, III, aVR, aVL and aVF actually reflects their historical development. Leads I, II and III were developed by Einthoven and leads aVR, aVL and aVF were developed by Goldberger. This presentation makes ECG interpretation more difficult and time consuming, because the reader must go back and forth between the leads on the paper. It would be more efficient to present the limb leads in their anatomically contiguous manner; that is, from left superior-basal to right inferior. In other word, the following order: aVL, I, −aVR (i.e., lead aVR with reversed polarity), II, aVF, and III. 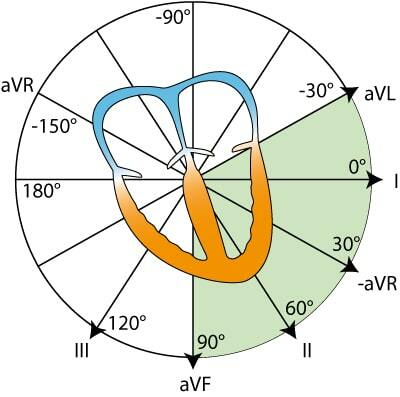 Note that lead –aVR exists at 30° in the frontal plane, according to Figure 2. Figure 2. The coordinate system presenting the limb leads in the frontal plane. Figure 19. The Cabrera format and inverted aVR. 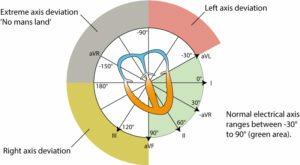 It is clear that the reader will find it much easier to study the inferior and lateral wall using the Cabrera display. As evident in Figure 3, if leads I, II and III would have been displayed next to each other, the T-wave inversion in lead III would not be consistent with the upright T-waves in leads I and II. However, placing lead III next to aVF makes more sense, because aVF also displays a negative T-wave and the reader will be able to spot that directly! The American College of Cardiology (ACC), The European Society for Cardiology (ESC) and the American Heart Association (AHA) has recommended that there should be universal adoption of the Cabrera format. This recommendation,  was issued 16 years ago and fortunately all modern ECG machines can switch to the Cabrera format (including –aVR). We encourage the use of the Cabrera format in order to facilitate ECG interpretation. As evident in Figure 2 there is 30° distance between each limb lead, except from the gap between lead I and lead II. To eliminate this gap, lead aVR can be inverted into lead –aVR. To obtain lead –aVR, the exploring and the reference points must switch positions, so that lead –aVR is actually equal to aVR upside-down. It turns out that the use of lead –aVR is actually meaningful, as it facilitates ECG interpretation (e.g interpretation of myocardial ischemia and electrical axis). 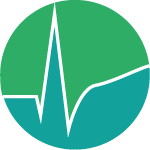 All modern ECG machines can present either aVR or –aVR; we recommend that –aVR be used as it facilitates ECG interpretation. 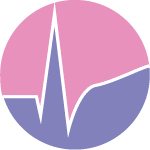 In any case, the reader can easily switch between aVR and –aVR without adjusting the ECG machine; by simply turning the ECG curve upside-down. Myocardial infarction redefined: a consensus document of the Joint European Society of Cardiology/American College of Cardiology Committee for the Redefinition of Myocardial Infarction. Eur Heart J. 21 2000:1502-1513. Twelve-lead electrocardiogram: The advantages of an orderly frontal lead display including lead −aVR. Elena B Sgarbossa, MD, S.Serge Barold, MD, Sergio L Pinski, MD, Galen S Wagner, MD, Olle Pahlm, MD, PhD. Journal of Electrocardiology (2006).